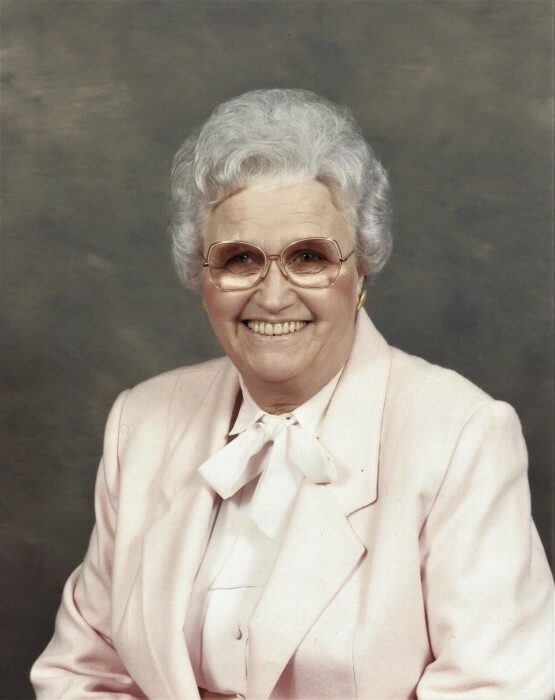 Myrl Lucille Hollis, age 93, of Lawrenceburg, TN passed away Thursday, March 21, 2019 at NHC Healthcare of Lawrenceburg. She was a native of Morgan County, AL, retired from Kay Windsor, former president of ILGWU, and a member of Leoma Church Of Christ. She was preceded in death by her parents, Robert and Carrie Blankenship; her husband, James Oliver Perry Hollis, Sr.; daughter, Mary Nell Franks; great-grandson, Carter Sircy; one brother; and three sisters. She is survived by son, James Perry Hollis, Jr.; daughter, Shirley Ann Hollis; son-in-law, John Franks; daughter-in-law, Doris Dianne Hollis; grandchildren, James Perry Hollis, III (Jennifer), Brian Rice (Jennifer), Dana Franks, Jason Hollis (Buffy), and Dawn Dunkerley (Tom); and great-grandchildren, Chelsea Hollis, Katie Lovell (Jake), Lindsey Pereira (Patrick), Claudia Hollis, Alex Hollis, Lauren Goodrich, Jacob Hollis, Lincoln Rice, and Max Dunkerley; and special caretaker, Janie Littrell. Arrangements are being handled by Neal Funeral Home, 231 N. Military Avenue, Lawrenceburg, Tennessee. The family will receive friends from 1:00 PM to 3:00 PM Sunday, March 24, 2019 at Neal Funeral Home. Funeral services will be conducted at Neal Funeral Home at 3:00 PM Sunday, March 24, 2019, with Rodney Livingston officiating. Interment will follow at Lawrence County Memorial Gardens in Lawrenceburg, TN.